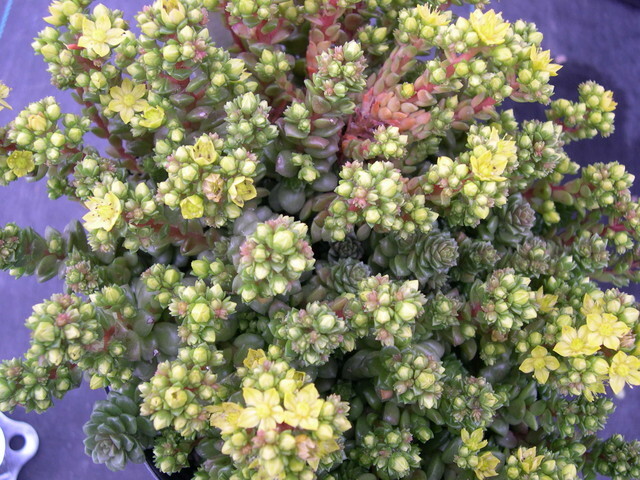 This 'Little Gem' is a cross between Sedum cremnophila and Sedum humifusum. It forms a compact mat of shiny dark green rosettes that turn reddish in the sun. It seems to be a heavy bloomer with clusters of yellow flowers on short stems that take on reddish hues in sun.